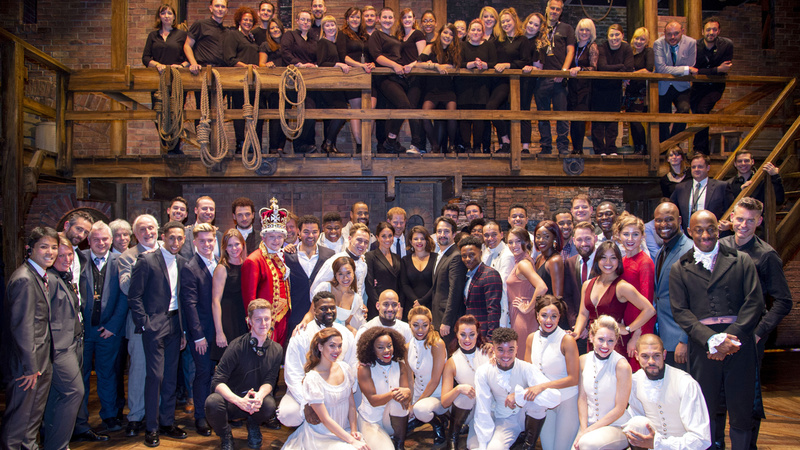 Lin-Manuel Miranda's inventive musical arrives in London. King George wasn't joking around when he teased the founding fathers in the musical Hamilton, "You'll be back." 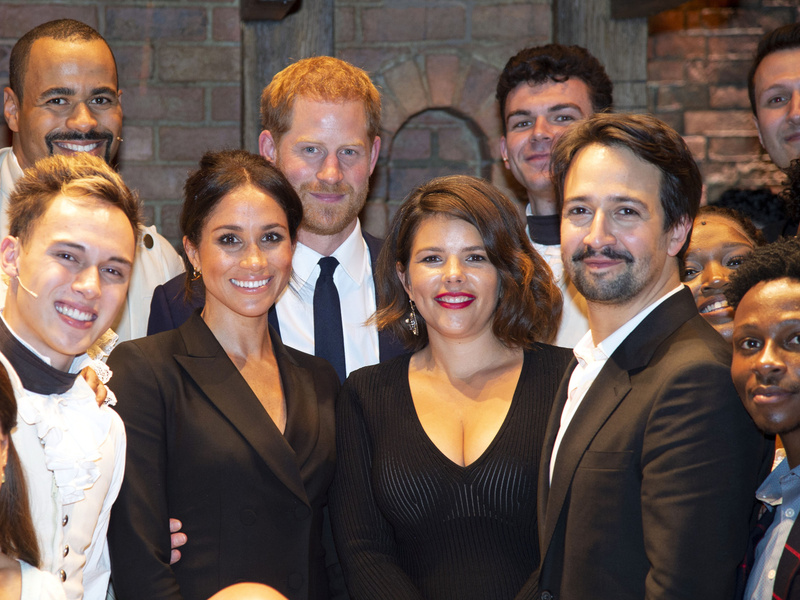 In real life, the six-times great-grandson of King George III, Prince Harry, visited the West End production of Lin-Manuel Miranda's juggernaut musical on August 29 alongside his new wife, Duchess of Sussex Meghan Markle. 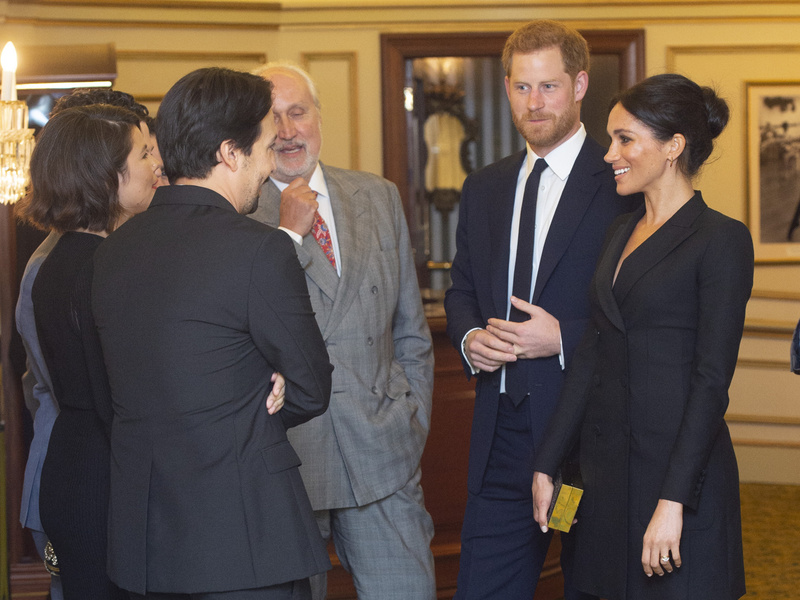 The royal couple met Miranda and wife, Vanessa Nadal, and the four sat together to watch the performance. 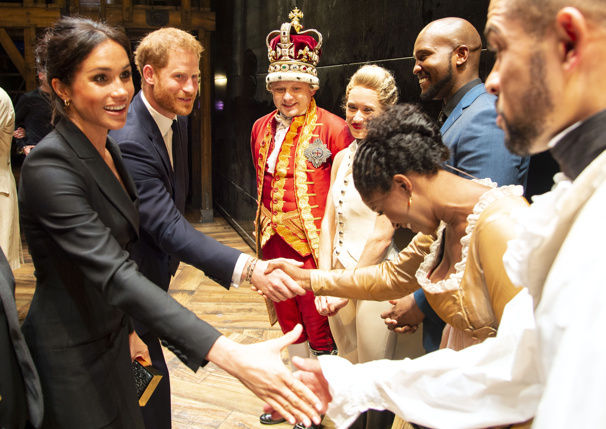 Afterward, Harry and Markle greeted members of the cast and posed for a picture with the company. 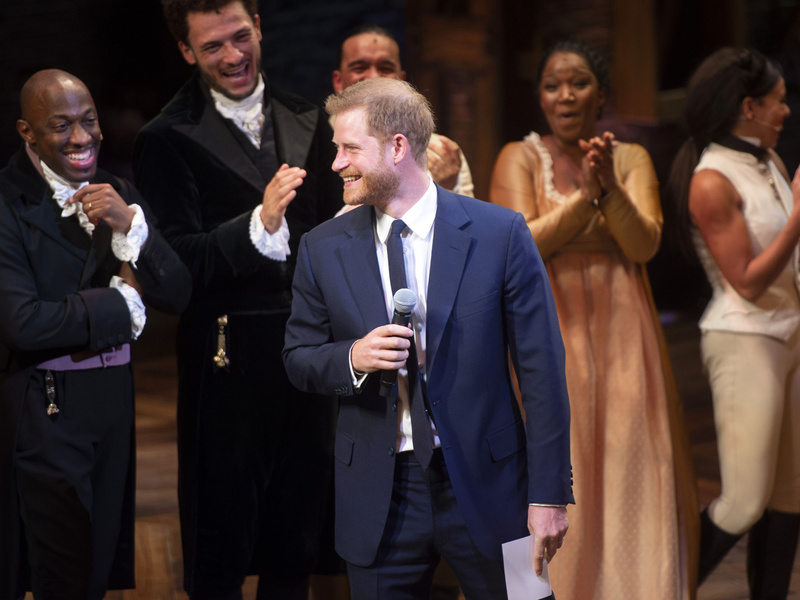 The Duke of Sussex also gave a lighthearted speech, beginning by crooning, "You say..."— the first two words of "You'll Be Back." "That's definitely not going to happen," he joked. "He did try, but I said no." Check out the photos of the visit below. And watch Prince Harry's speech below.